Though it’s a difficult lifestyle, Brown enjoys the independence and the interaction with the animals. He also enjoys the people he gets to meet during the summer. The store serves as an entrance to the town of Mancos to travelers from Durango. 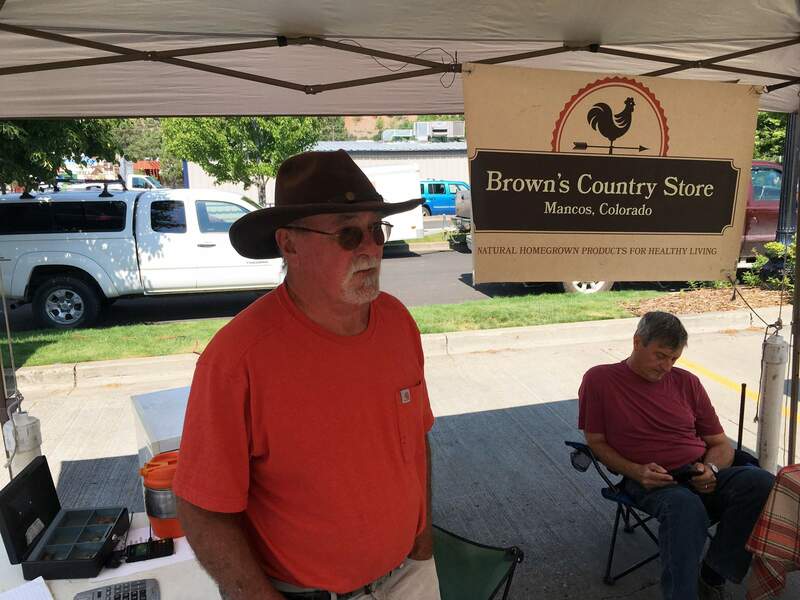 Every Saturday, Brown drives over to Durango for the farmers market, where he sells lamb, pork, chicken, cucumbers and tomatoes. Nina bakes pies and other fresh-baked goods for the market as well. The customers that the couple has met with at the farmers market have regularly traversed to Mancos to come into the store, he said. This summer has been particularly tough on the store because of the drought and the 416 Fire. Still, the couple marches on.